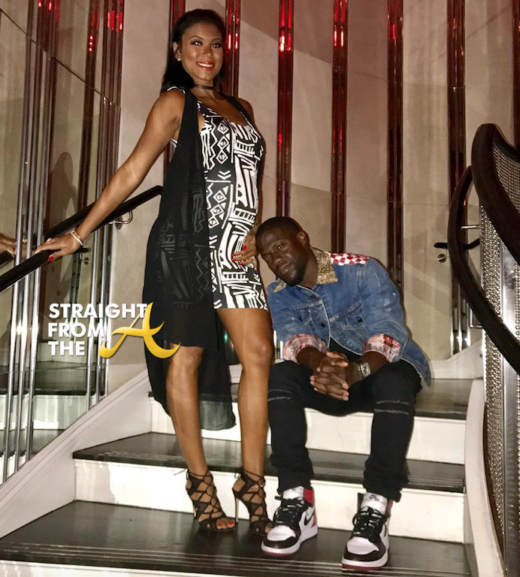 Kevin Hart and his lovely wife Eniko enjoyed their first night out since welcoming their baby boy Kenzo Kash on November 21, 2017. The cute couple attended the Los Angeles premiere of ‘Jumanji: Welcome to the Jungle’ for their first red carpet appearance as new parents. Hart, 38, and Parrish, 33, also shared a few photos of their new addition, which earned quite a few jokes online. 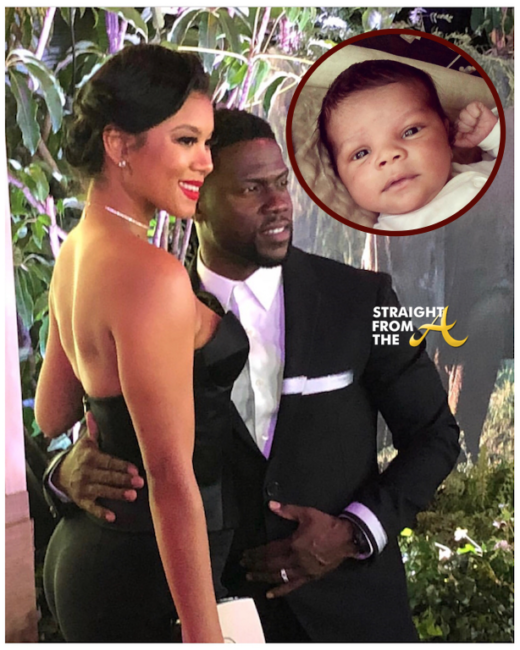 Comedian Kevin Hart reportedly broke the bank for a lavish over-the-top jungle-themed baby shower for his wife, Eniko this past Sunday (Oct 1). As you know, the celebration comes just weeks after Hart’s emotional apology after he was caught cheating (click HERE if you missed that). 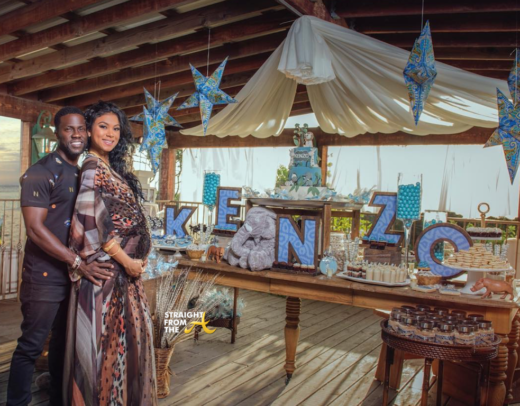 The swanky event was held at the Calmigos Beach Club in Malibu where the cute couple revealed to family and friends that their having a baby boy named who will be named Kenzo. 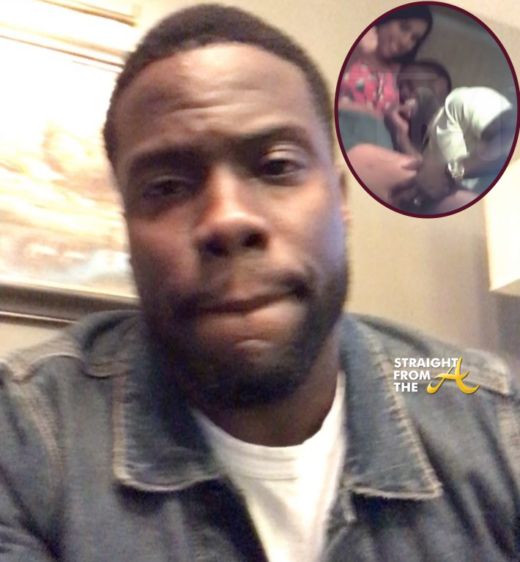 Kevin Hart has been the topic of discussion all weekend long as he was caught ‘out there’ once again presumably cheating on his pregnant wife. Just last month Kevin’s wife Enniko Parrish, who is expecting her first child with the actor, got in a very public dispute with Hart’s first wife, Torrei Hart, who called Eniko out about ‘erasing’ the fact that she was once the mistress. It’s no secret that blended families are difficult and apparently Kevin Hart’s brood of baby makers is no different. 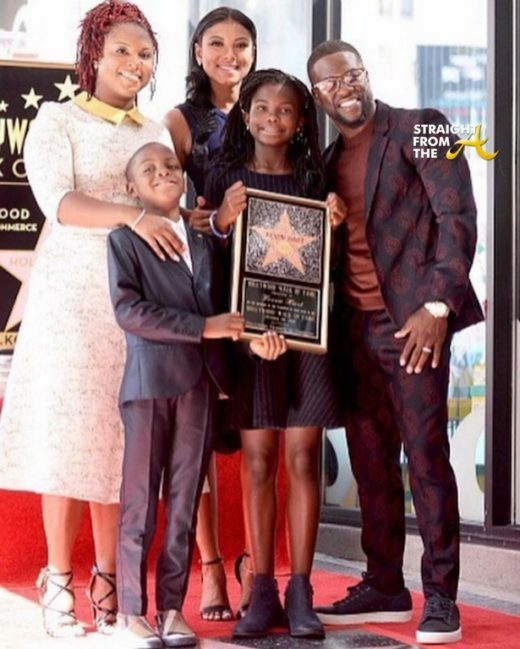 Torrei Hart, the ex-wife and mother of Kevin’s two kids was dragged into some very public family drama this past weekend, when Eniko Hart, Kevin’s current wife and soon to be mother of his 3rd child. Harts love triangle is no secret to industry insiders, but apparently Eniko chooses to ignore what we all saw unfold. Eniko Hart, wife of comedian Kevin Hart totally nailed her Halloween 2016 costume! Hart and her three friends dressed up as 90’s girl group, TLC (Tionne “T-Boz” Watkins, Lisa “Left Eye” Lopes and Rozonda “Chilli” Thomas) and chose the ‘No Scrubs’ video as inspiration for their look. Eniko posed front and center as Rozonda ‘Chilli’ Thomas. The ladies even did a video to capture the moment.